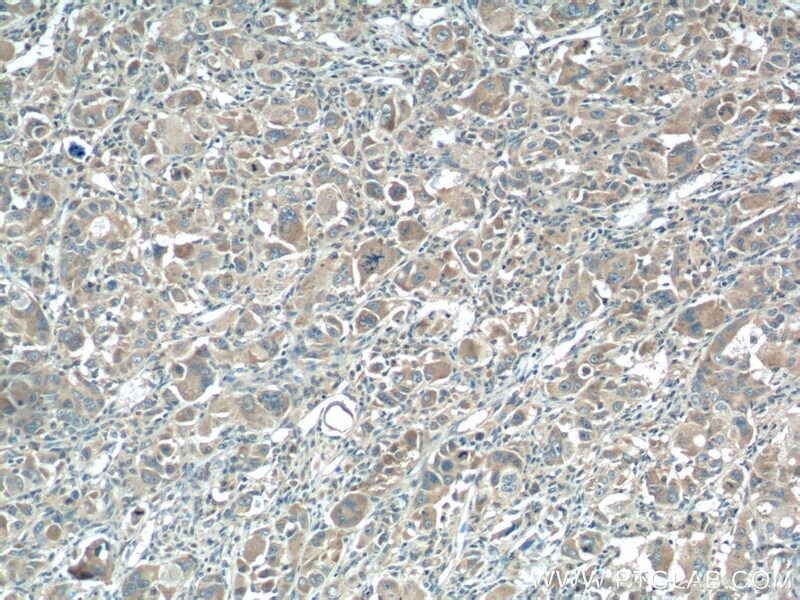 Immunohistochemical analysis of paraffin-embedded human breast cancer tissue slide using 25997-1-AP( XBP1 Antibody) at dilution of 1:200 (under 40x lens). heat mediated antigen retrieved with Tris-EDTA buffer(pH9). X-box-binding protein 1 (XBP1), also named as TREB5, is a 261 amino acid protein, which contains one bZIP domain and belongs to the bZIP family. XBP1 localizes in the nucleus and as a transcription factor is essential for hepatocyte growth, the differentiation of plasma cells, the immunoglobulin secretion, and the unfolded protein response. XBP1 has an association with major affective disorder. The molecular weight of protein generated from the spliced XBP1 mRNA is 54 kDa and protein generated from unspliced Xbp1 mRNA is 33 kDa. Quantitative proteomic analysis reveals unfolded protein response involved in severe fever with thrombocytopenia syndrome virus infection. Hepatocyte X-box binding protein 1 deficiency increases liver injury in mice fed a high-fat/sugar diet. The reproductive toxicology of male SD rats after PM2.5 exposure mediated by the stimulation of endoplasmic reticulum stress. Identification of XBP1-u as a novel regulator of the MDM2/p53 axis using an shRNA library. 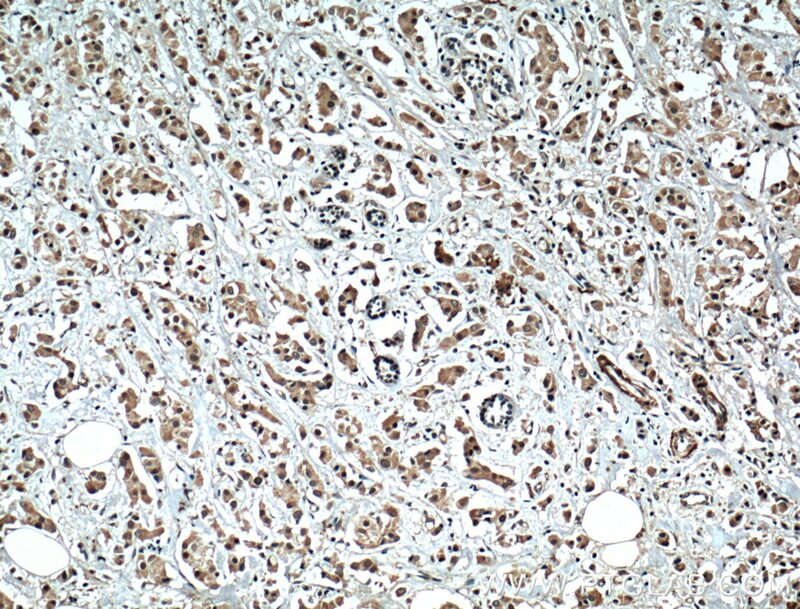 Immunohistochemical analysis of paraffin-embedded human breast cancer tissue slide using 25997-1-AP( XBP1 Antibody) at dilution of 1:200 (under 10x lens). heat mediated antigen retrieved with Tris-EDTA buffer(pH9). 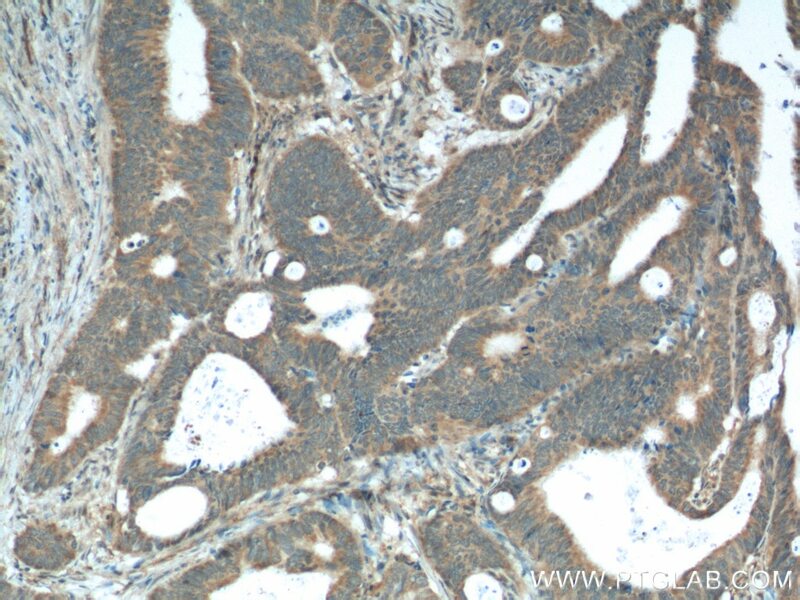 Immunohistochemical analysis of paraffin-embedded human colon cancer tissue slide using 25997-1-AP( XBP1 Antibody) at dilution of 1:100 (under 10x lens). heat mediated antigen retrieved with Tris-EDTA buffer(pH9). 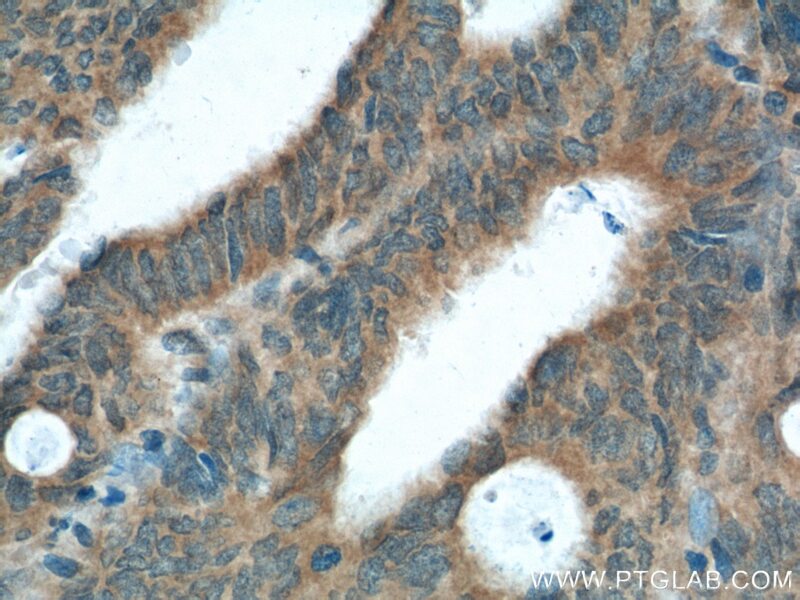 Immunohistochemical analysis of paraffin-embedded human colon cancer tissue slide using 25997-1-AP( XBP1 Antibody) at dilution of 1:100 (under 40x lens). heat mediated antigen retrieved with Tris-EDTA buffer(pH9). 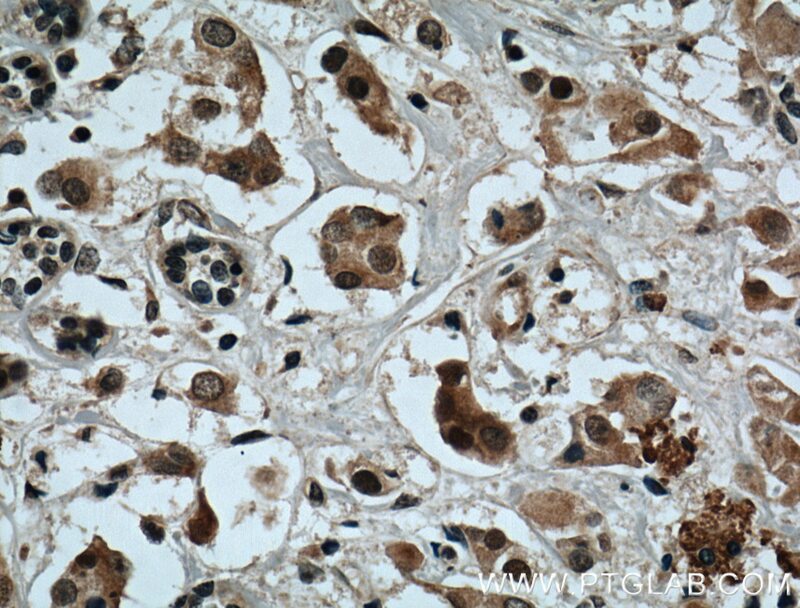 Immunohistochemical analysis of paraffin-embedded human liver cancer tissue slide using 25997-1-AP( XBP1 Antibody) at dilution of 1:100 (under 10x lens). heat mediated antigen retrieved with Tris-EDTA buffer(pH9). 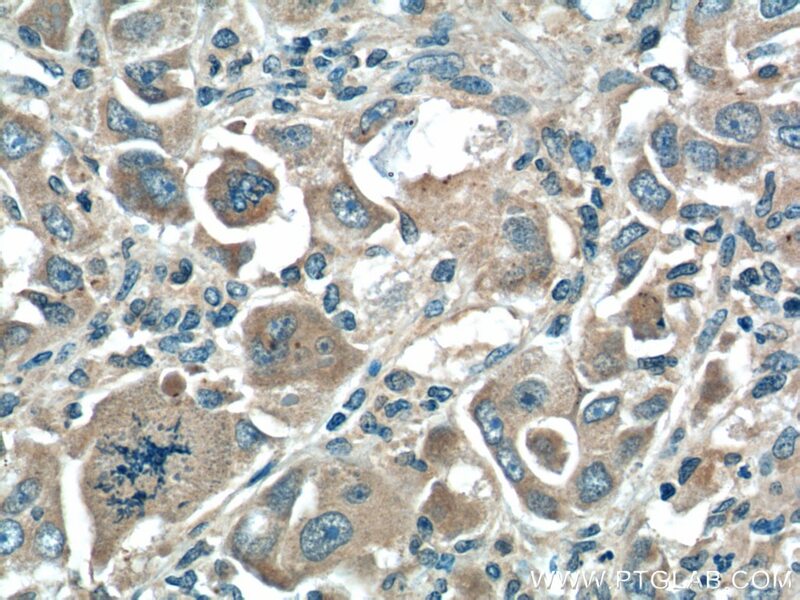 Immunohistochemical analysis of paraffin-embedded human liver cancer tissue slide using 25997-1-AP( XBP1 Antibody) at dilution of 1:100 (under 40x lens). heat mediated antigen retrieved with Tris-EDTA buffer(pH9). 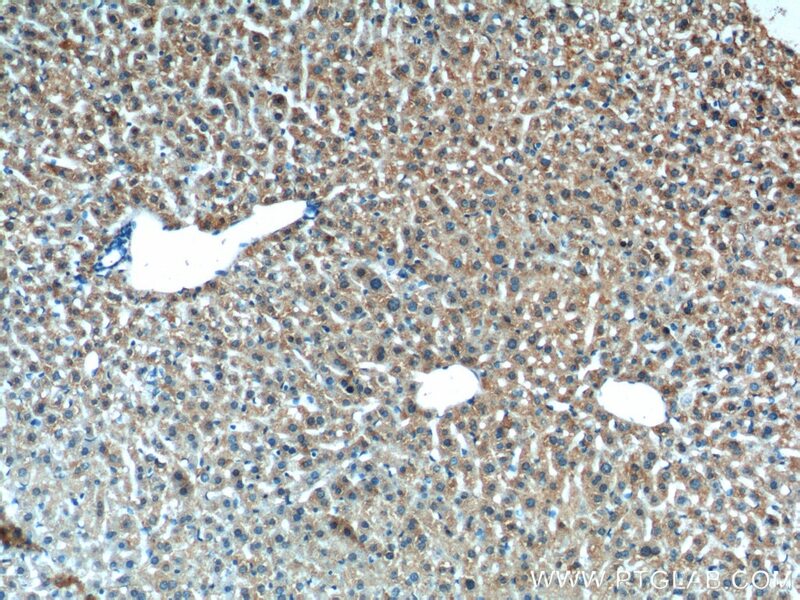 Immunohistochemical analysis of paraffin-embedded mouse liver tissue slide using 25997-1-AP( XBP1 Antibody) at dilution of 1:100 (under 10x lens). heat mediated antigen retrieved with Tris-EDTA buffer(pH9). 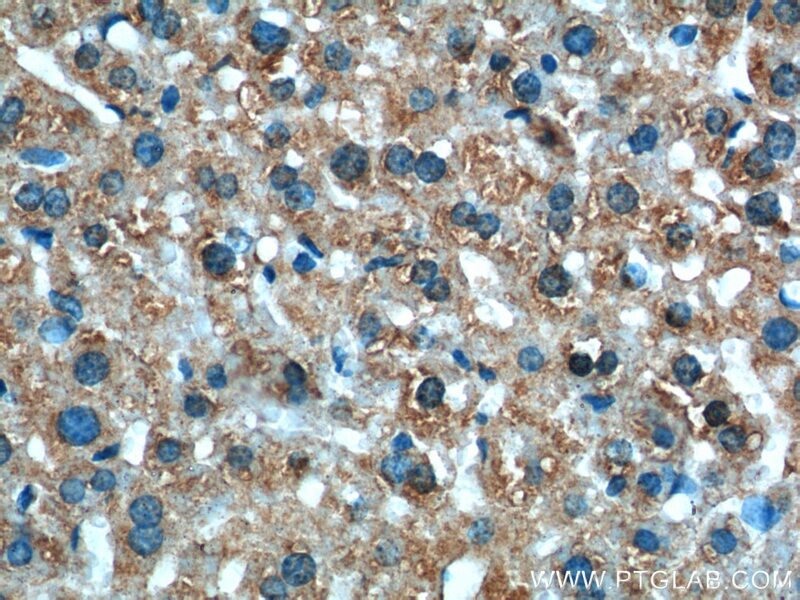 Immunohistochemical analysis of paraffin-embedded mouse liver tissue slide using 25997-1-AP( XBP1 Antibody) at dilution of 1:100 (under 40x lens). heat mediated antigen retrieved with Tris-EDTA buffer(pH9).